Condolences to all of you today on the Shahadat of our 4th Imam, Imam Ali Zainul Abideen (AS). In honor of our Imam, today we will be talking about Sajdah, our prostration to Allah (SWT). Imam Zainul Abideen (AS) did so many Sajdah during his life that he is also known by another name – Sajjad, the one who does Sajdah. In this small activitiy book, we discuss the basics of the Sajdah that we perform in our daily lives and a reflection of how we can speak to Allah (SWT) during Sajdah, since that is one of the BEST ways to get closer to Him. 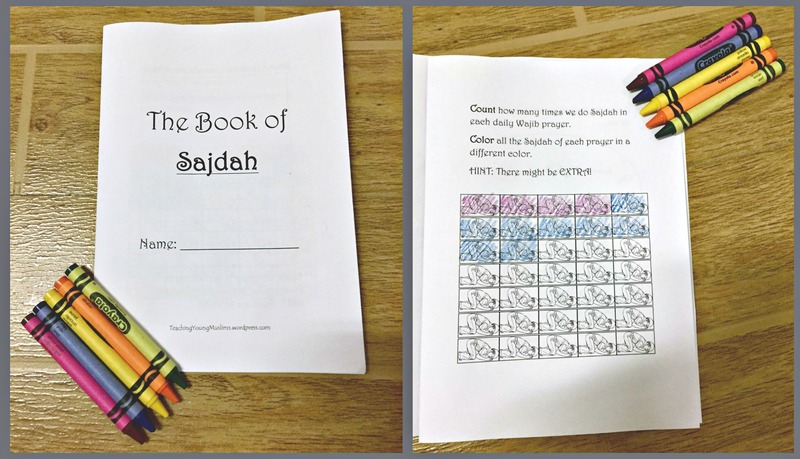 You can download the Sajdah booklet in the Teaching Young Muslims Resource Library! Enter your name and email address here to receive the password to access these downloads. Already signed up? Enter the library HERE. Once you enter the library, click on “Sha’baan” and click on “The Book of Sajdah.” 🙂 Make sure to choose the option for booklet when you print. Previous Post“Is Prophet Mohammed (SAW) Your Grandfather or Mine?”Next PostWho is Bibi Zainab (SA)?